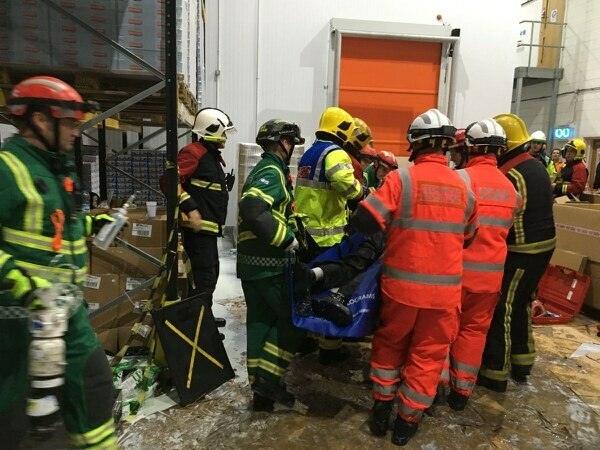 Fire crews battled for four hours to rescue a man trapped under tons of refrigerated perishable goods when a storage rack collapsed at a warehouse. 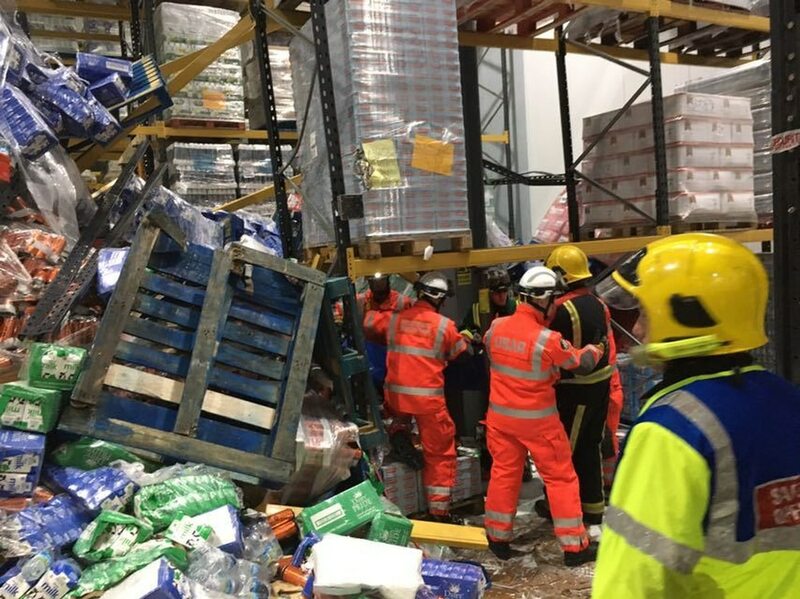 The 54-year-old victim and the fork lift he had been driving were completely buried by the landslide of goods at the Central Supplies warehouse Saltbrook Road, Cradley. Fire crews from Haden Cross and Stourbridge together with the West Midland Fire Service Technical Rescue team led the operation which was led by Watch Commander Jason Jew. His colleague Watch Commander Anthony Dingley, who was also at the scene, explained: "It happened in a large storage area with six or seven bays of high racking. 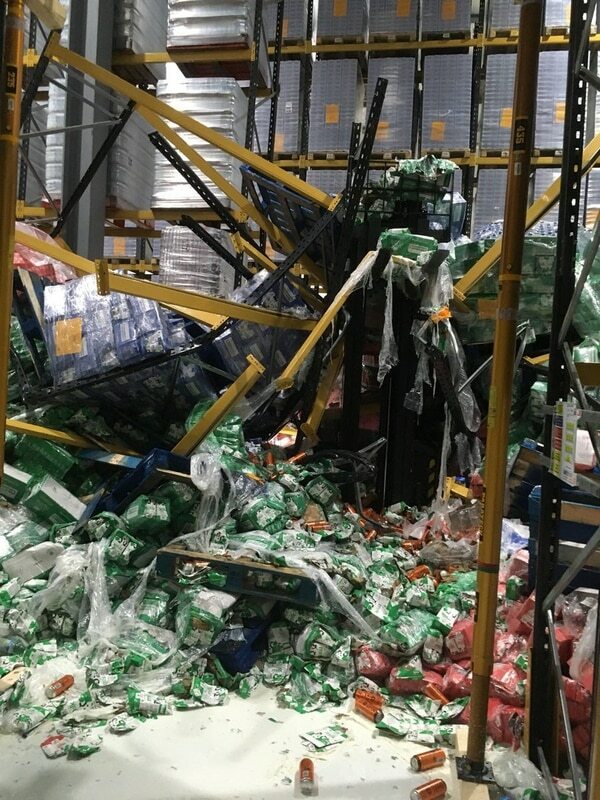 "One of the racks had collapsed burying the fork lift truck and its driver under tons of refrigerated products.Ten or 11 bales had dropped down with each weighing around a ton." The man was not visible under the mountain of milkshakes, milk and energy drinks but the rescuers quickly made verbal contact with him. They also made sure the precarious racking was safe so that the rescuers could work in safety. They had to be careful when moving items because they did not want to crush the man with another fall but the technical rescue crew pin pointed exactly where he was trapped by inserted microphones into the pile of produce during Thursday afternoon's drama. Watch Commander Dingley said: "It took us a while to get a location for him and about four hours to release him. He was a brave bloke and conscious throughout. He was severely trapped with the goods all over him. It was lucky he could still breathe. He could easily have been killed."